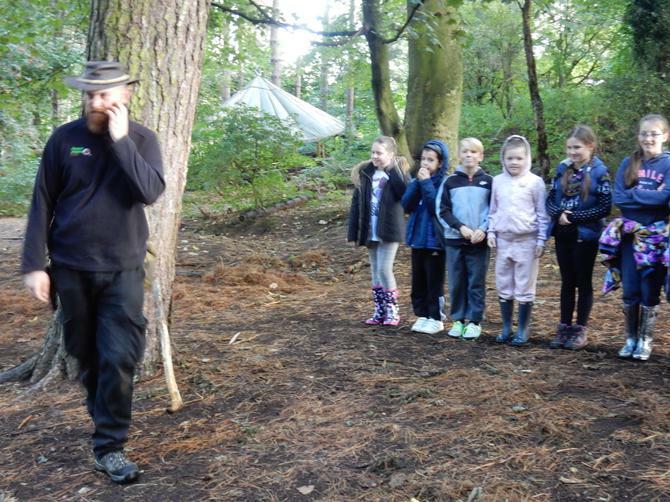 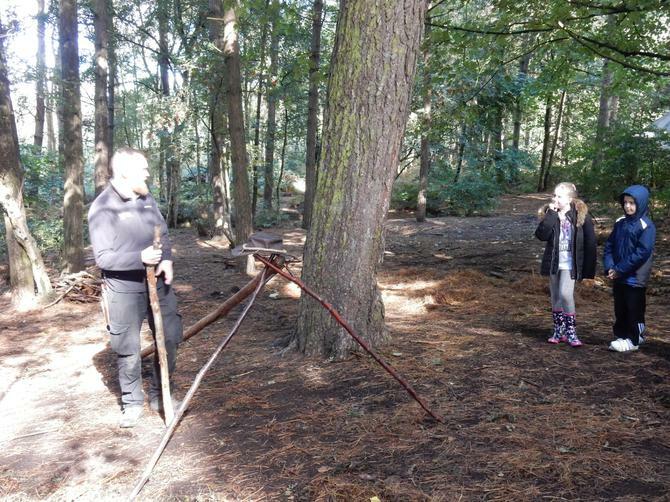 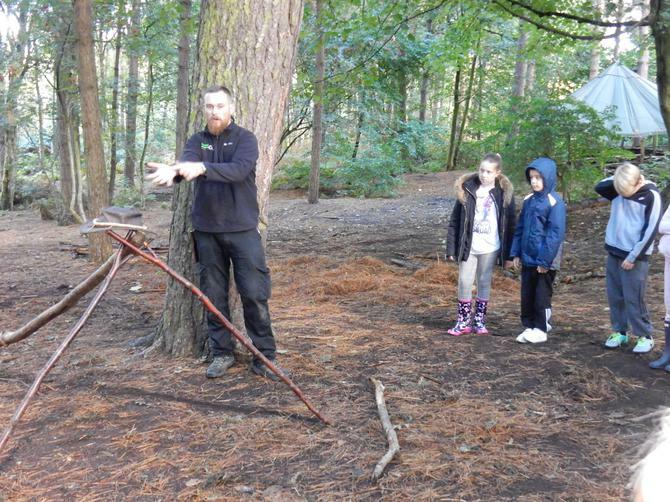 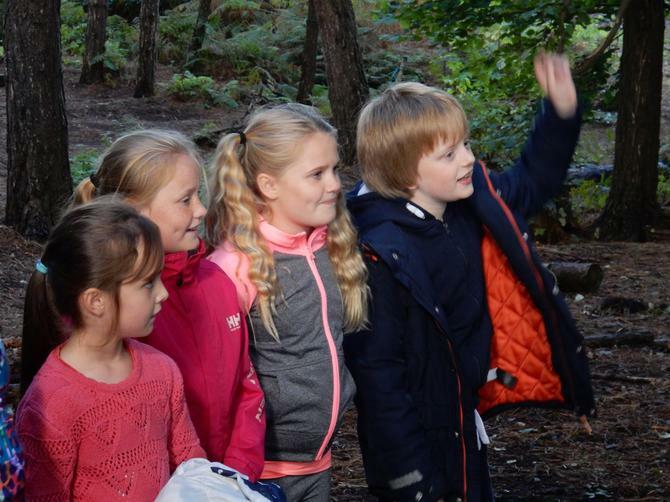 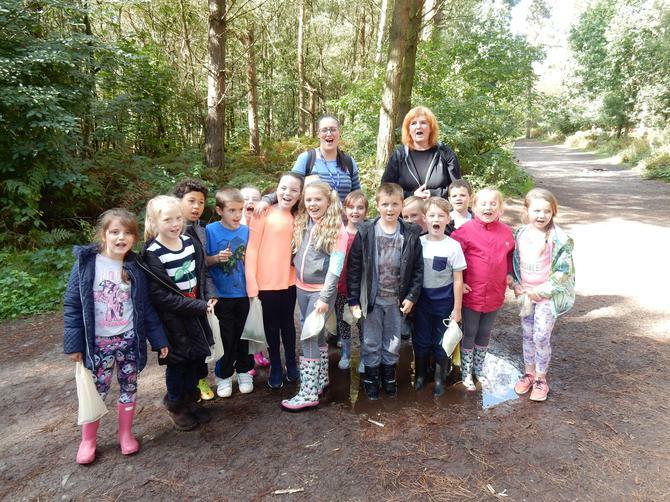 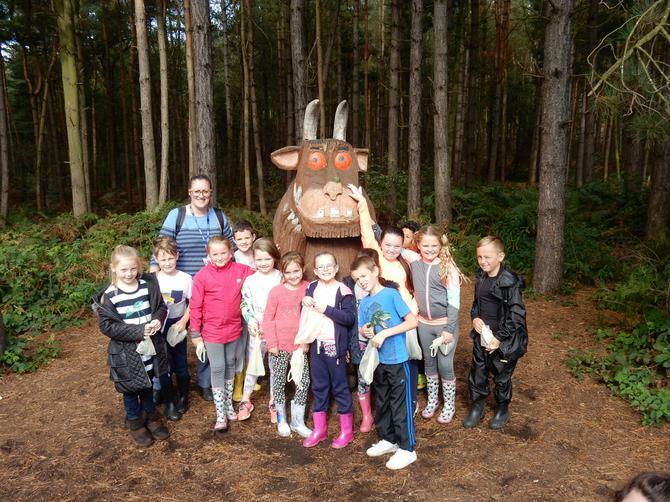 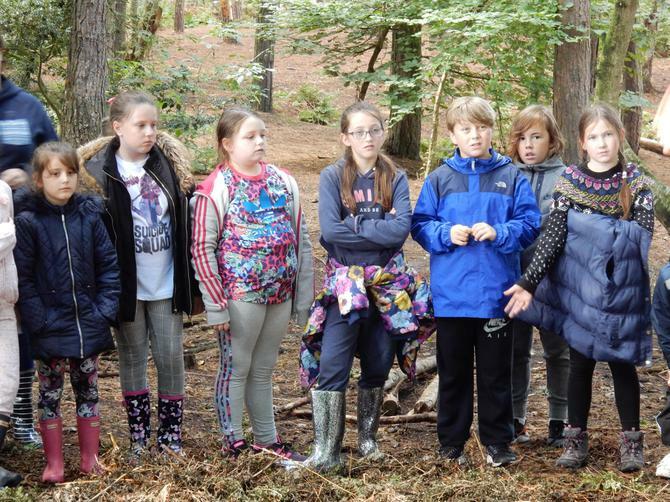 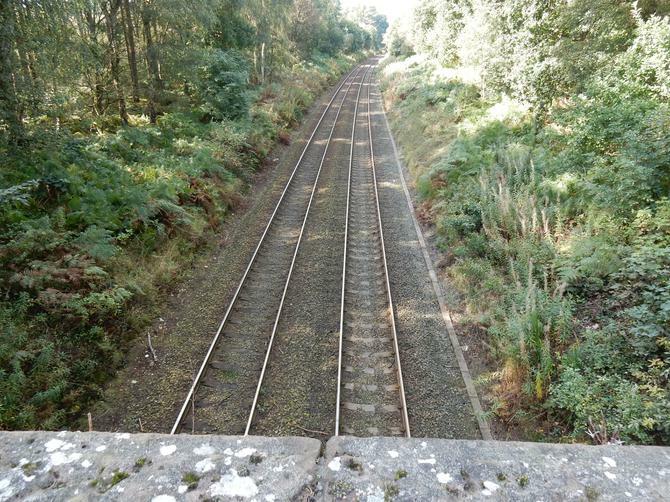 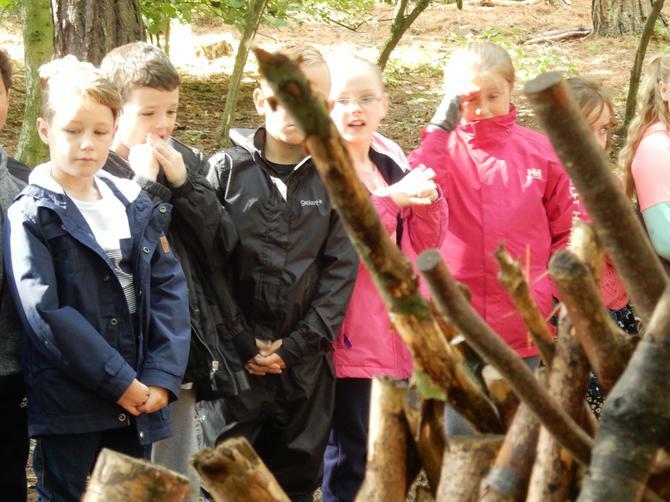 We've just returned from a wonderful Autumnal trip to Delamere Forest with Y1 - Y6. 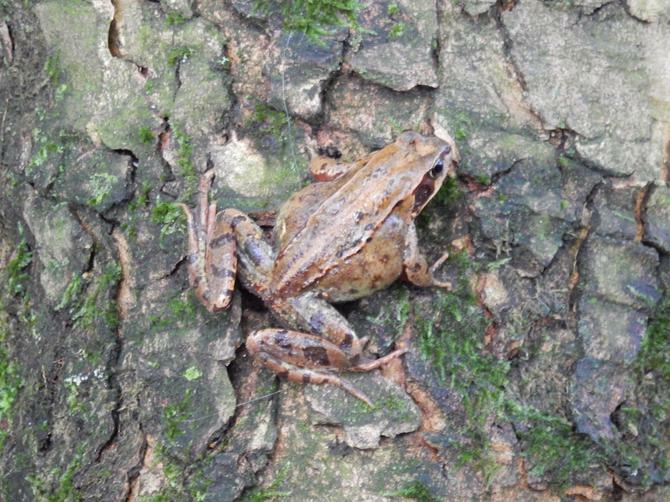 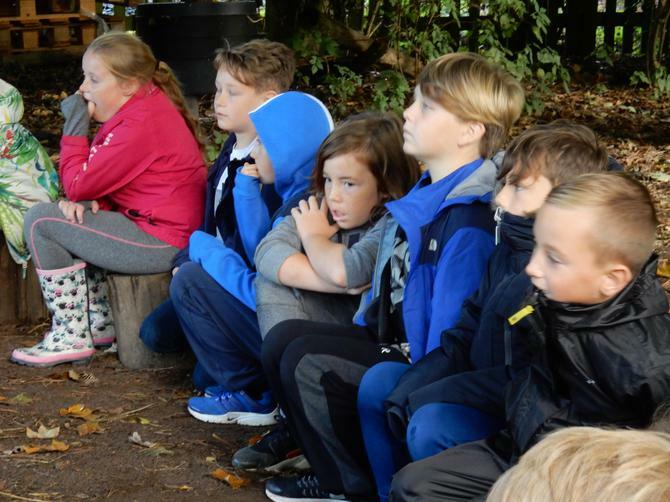 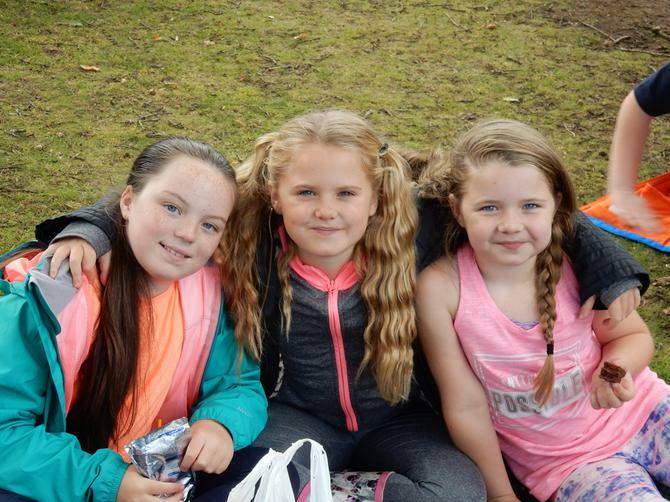 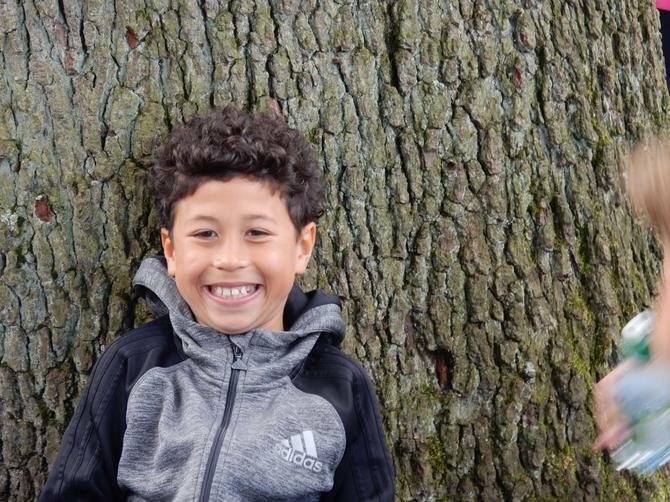 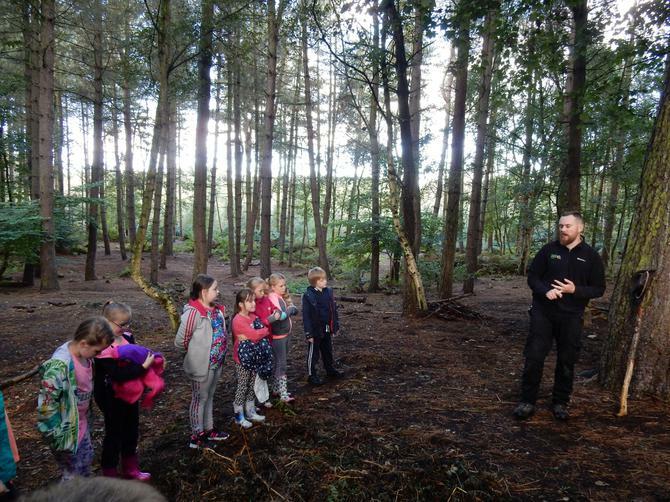 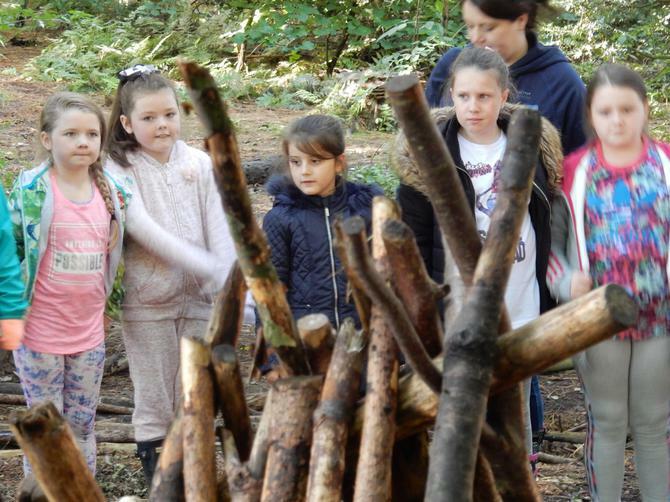 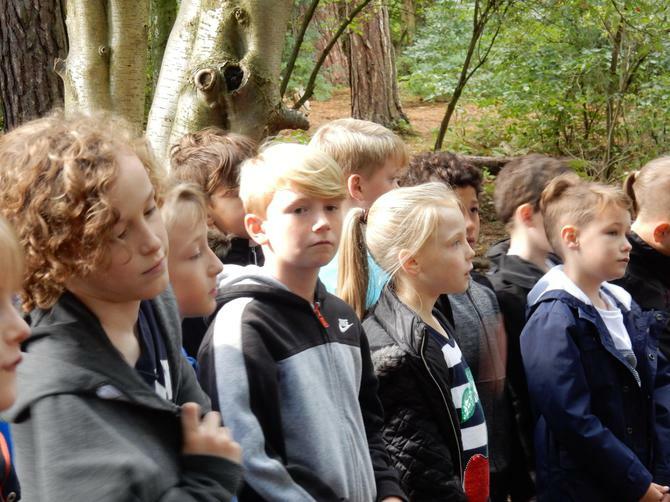 The trip was based around Geography - bringing the curriculum alive by spending the day out in the great outdoors, improving skills such as map reading, environmental awareness, survival, and orienteering. 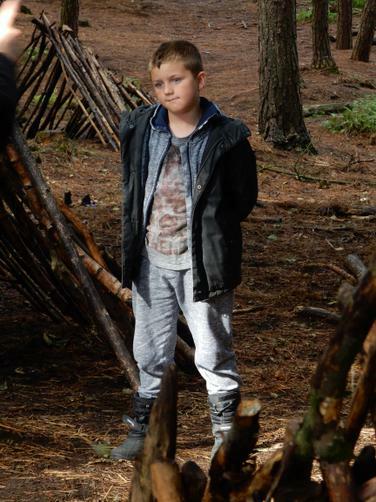 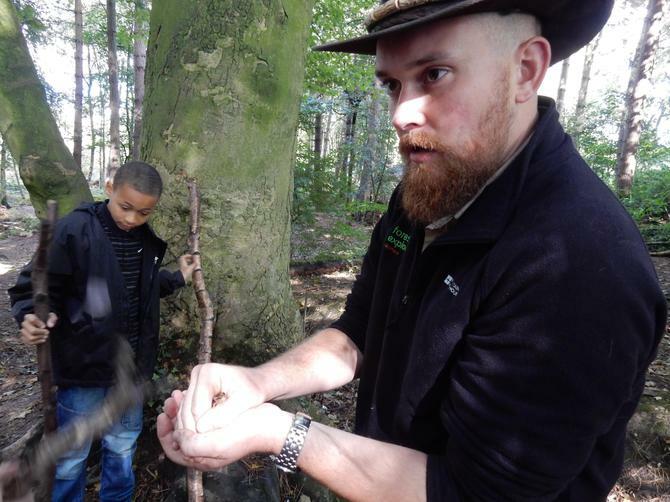 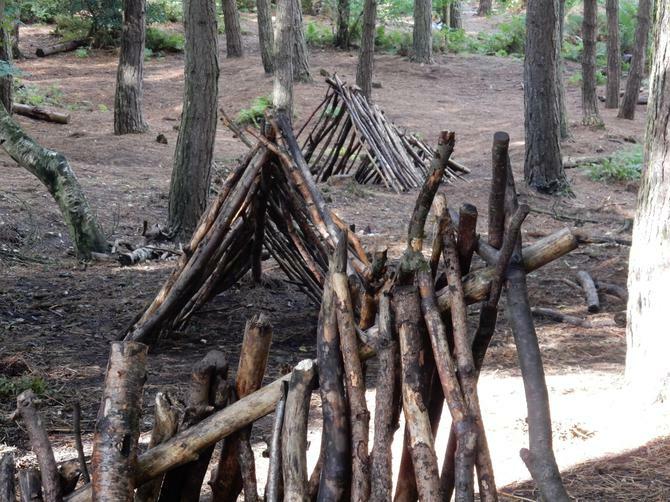 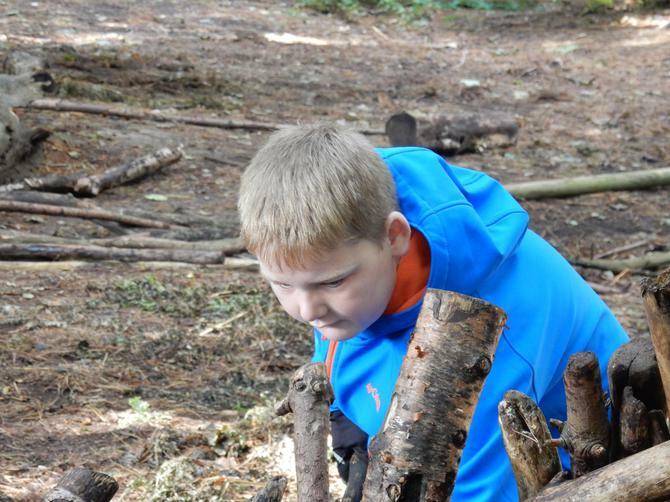 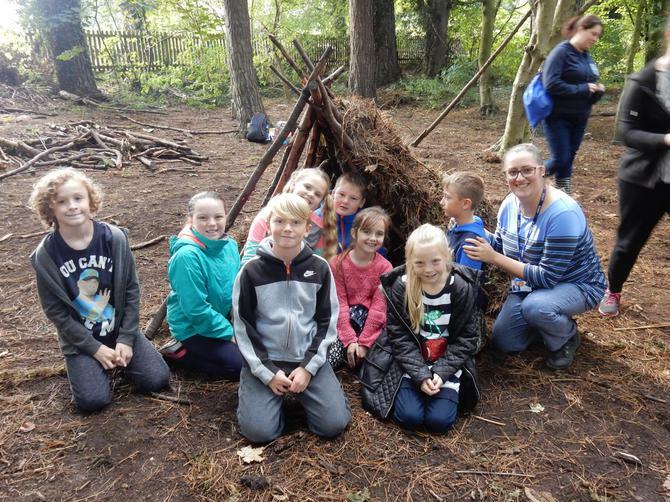 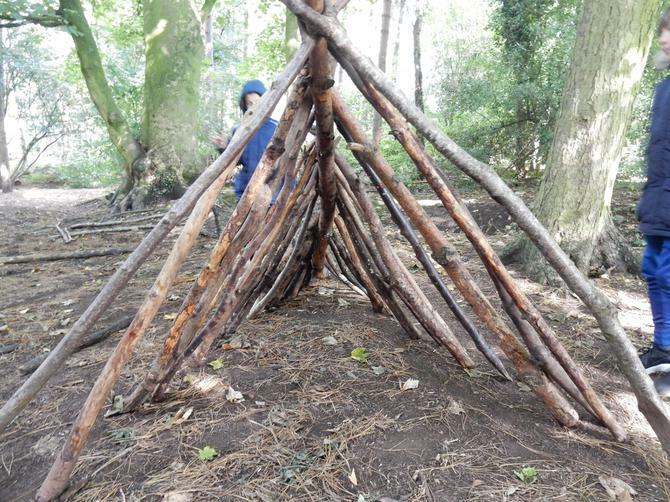 The children in the juniors spent a session building dens for survival with our fantastic forest ranger, Ben. 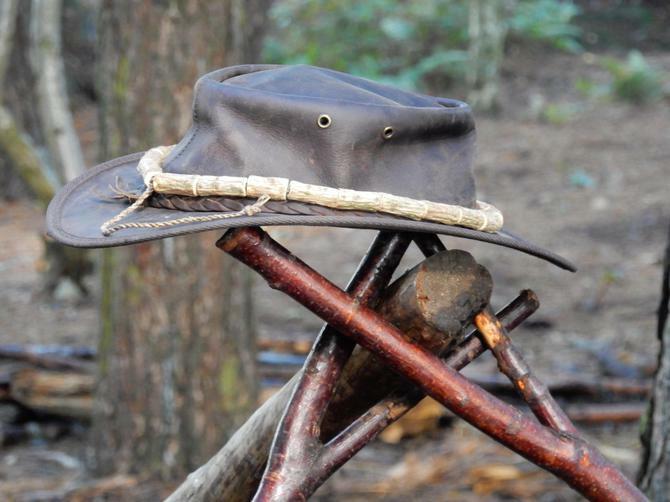 He taught groups the four basics of survival out in the wild: warmth (fire and clothes), water, food and shelter. 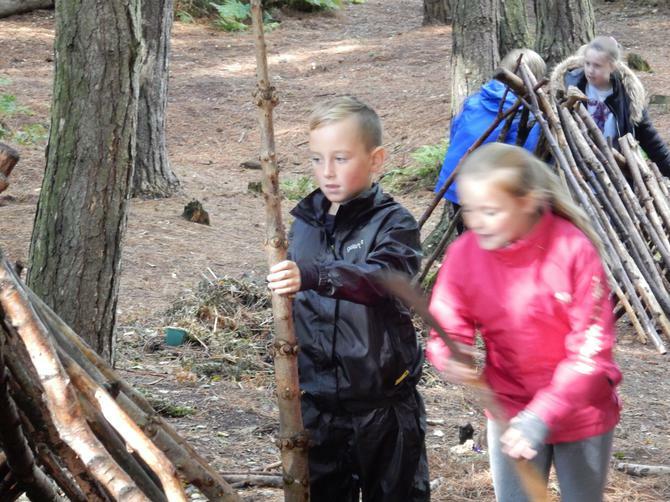 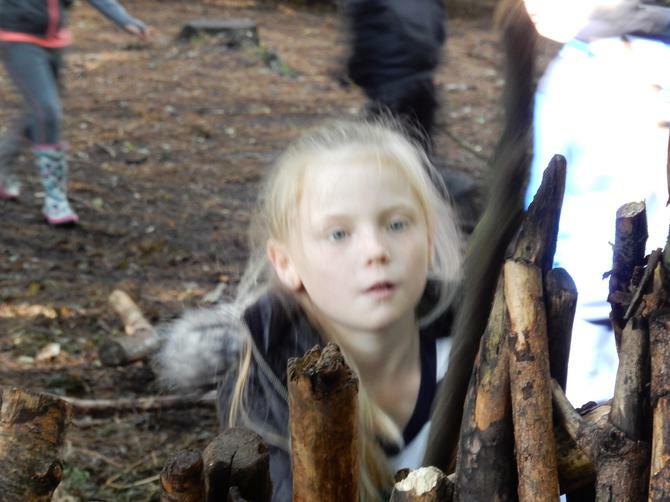 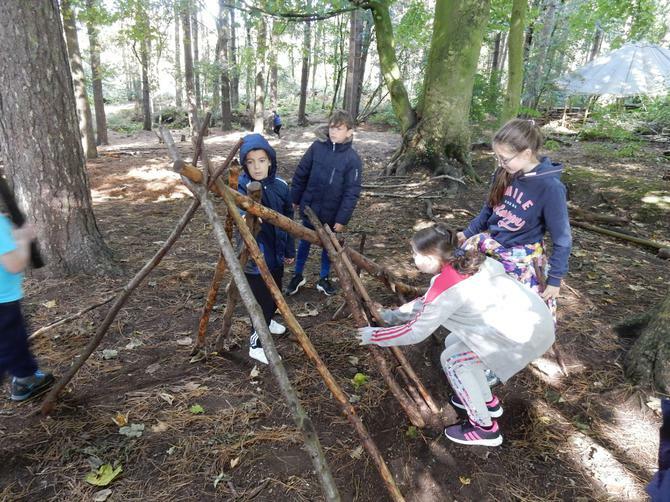 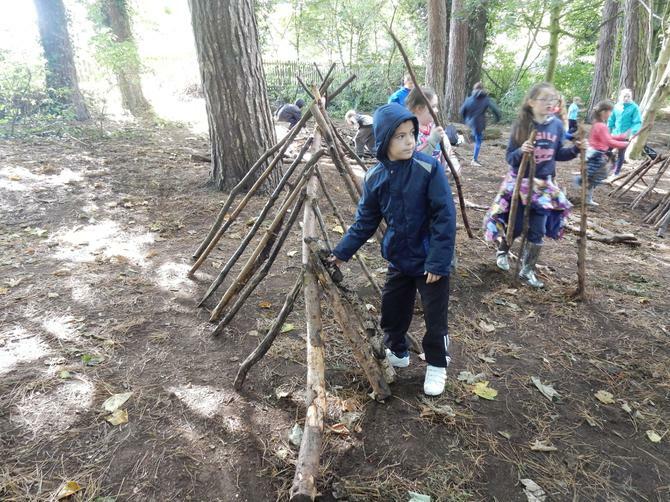 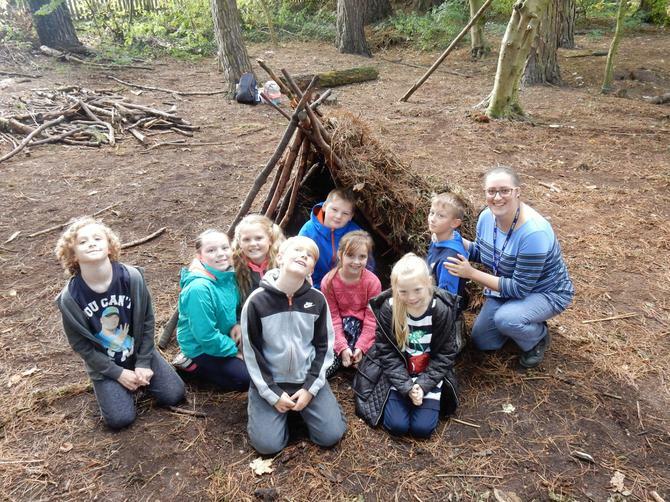 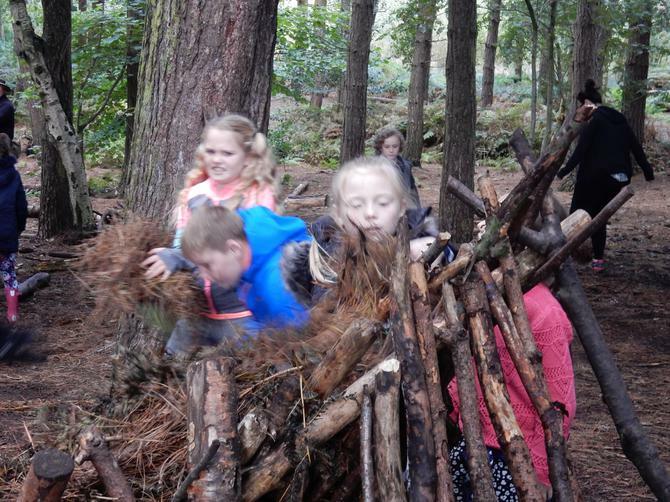 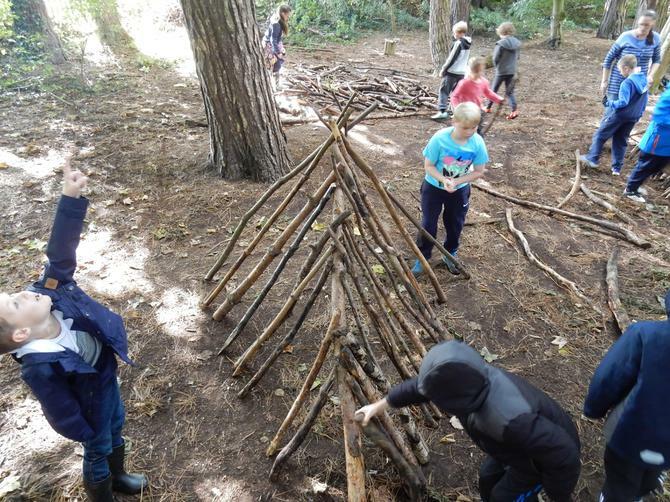 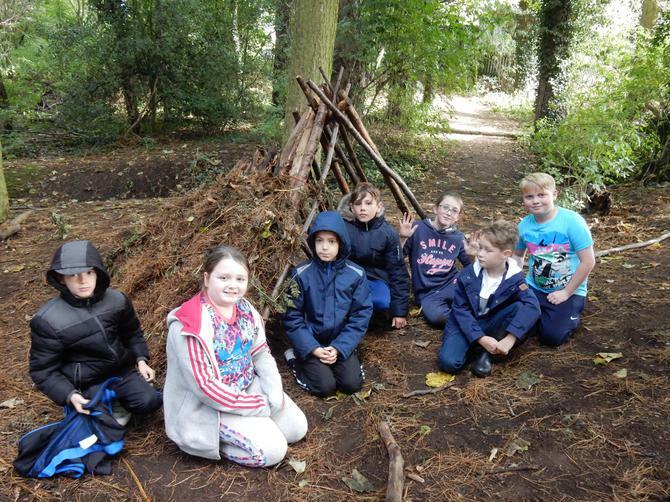 Groups then had a den making competition using a variety of sticks and forest materials (see pictures below). 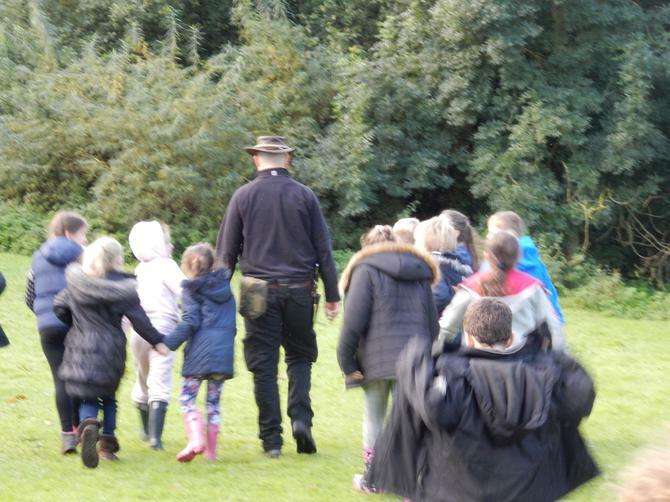 Children in the infants spent their ranger session learning about directions and helping each other to navigate in the wild. 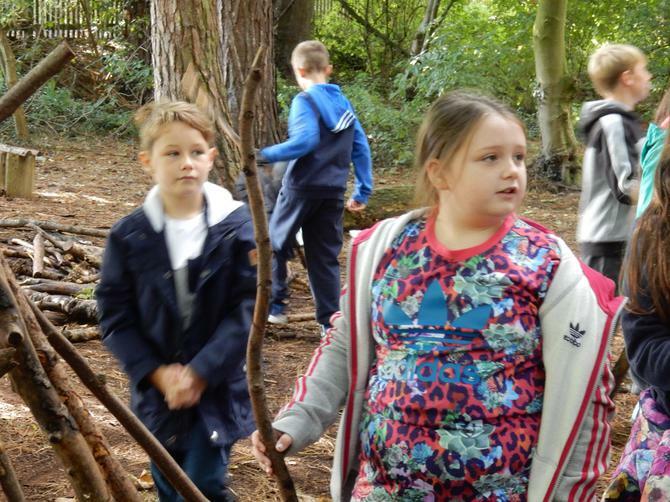 In glorious late summer sunshine, the children and staff had a wonderful day, with Geography suddenly rising up the popularity charts at Norman Pannell! 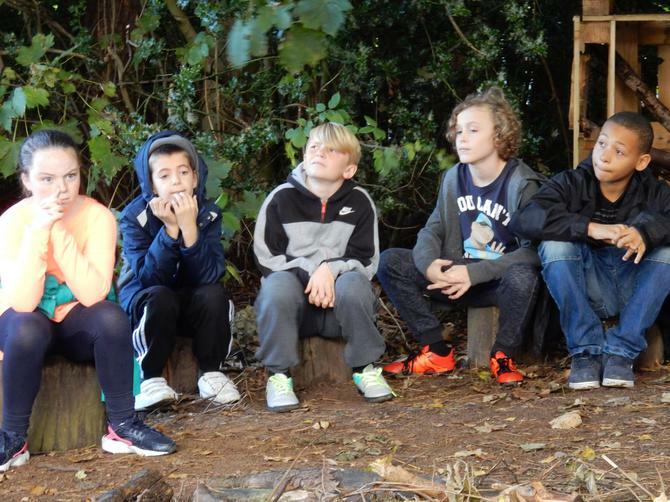 Thank you to Mrs. 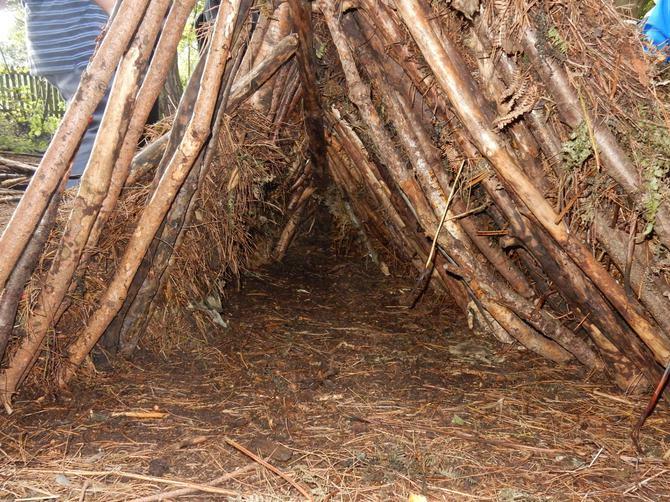 Size for organising the trip.